Now known as the AtmosRx vaporizer pen, the Atmos Raw vape pen, took the vaping world by storm due to its truly impressive performance. 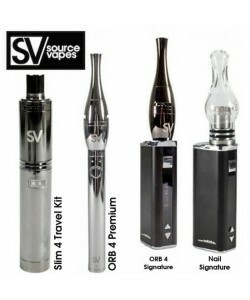 The only drawback to the wax and dry herb pen was that it was larger in size than some other vape pens on the market. Committed to satisfying the needs of vape enthusiasts everywhere, the experts at Atmos vaporizers went back to the drawing board and came up with a baby brother for the Atmos Raw, the Atmos Junior Vaporizer for dry herb and wax. With a smaller heating chamber and battery, the Atmos Junior Vaporizer is an ultra compact device. Truly small enough to fit in the palm of your hand, this pocket vaporizer is perfect for individuals who want to be able to vape easily everywhere and don't mind refilling their waxy oils or only usually enjoy one vape session when they're on the go. Like the AtmosRx vape, the Atmos Junior Vaporizer is made to take the guesswork out of setup. Instead of including multiple temperature settings, the wax pen has one single mode. The wax pen works at a consistent temperature of 380 to 400 degrees Fahrenheit. This ensure efficient, complete vaporization of waxy oils but eliminates the possibility of combustion, which occurs at a much higher temperature. The Atmos Jr Vaporizer makes vaping as easy as pushing a button. The single button design allows you to simply reach for your wax vaporizer pen and get started. 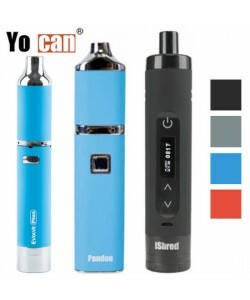 The vape pen reaches working temperature in under 5 seconds, so it truly is convenient for on-demand vapor enjoyment. While the Atmos Jr Vaporizer is much smaller in size than the original AtmosRX, it has all of the same basic technologies. Both vape pens for waxy oils and dry herbs have heavy-duty metal heating coils that are long-lasting and ceramic and glass filters that remove impurities and capture particles to keep vapor clean and tasty. The Atmos RX Junior is also available in a wide range of stylish colors like the full-size model. Because the Atmos Jr vape is smaller, it does have a smaller capacity than its big brother. The smaller Atmos Junior battery also means that it needs to be recharged more frequently. Heats up quickly - Review by Debra D.
I love the Atmos Junior except for one issue. The battery does not seem to last very long. This is a problem as it is meant to be a portable vaporizer but I feel like I can't really take it with me anywhere because it is going to die on me. That said, while I am actually using it, it is wonderful. It heats up quickly and gives off great flavor. Sleek and small - Review by Robert D.
I am so happy with the Atmos Junior. I love how sleek and small it is; I am able to take it with me anywhere. It works just as advertised and is able to heat up quickly. The battery life is decent but that's okay. It does not take long at all to charge it. I have shared it with friends and even they have been really happy with it. I recommend it to those who vape at any level. Discreet and portable - Review by Tracey R.
I didn't know what to expect from the Atmos Junior but once I got it I immediately fell in love. I have a desktop vape at home so I just needed something small to bring with me on the go. If you need something discreet and portable like I did then the Atmos Junior is definitely the way to go. Stealthy - Review by Jennifer A. If you really want something that lets you vape outside the home with no problems, the Atmos Junior is the way to go. I use the Atmos Junior anywhere I want and nobody has any idea of what I am doing. People just think it is an ecig which is awesome. It is so stealthy and so easy to use. Works perfectly - Review by Teri T.
I love my purchase of the Atmos Junior. I recommend getting a brush for cleaning it out after using it with dry herbs. Otherwise, it works perfectly on its own. 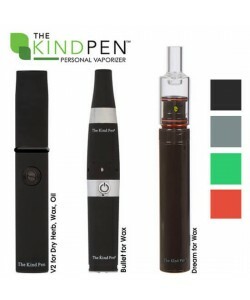 Very pleased - Review by Scott S.
This is my very first vape pen and I am more than pleased. It gives me really great hits and nice clouds. Super simple to use - Review by Dabs P.
The Atmos Junior is super simple to use and works perfectly. Just takes a little bit of time to get used to at first. Versatility - Review by Jimmy C.
I love the versatility of the Atmos Junior. The chamber is a good size and I can vape it for hours without it needing a charge. High hitting - Review by Marvin J. The Atmos Junior takes no time at all to charge and lasts most of the day if I am not constantly hitting it. It tastes great and keeps the smell to a minimum. Best vape for wax - Review by Weeds V.
This is one of the first vapes I have ever owned and I have had it for around a week now. Hands down the best one I have tried and I have tried a lot of them. Big cloud production - Review by Desiree J.
I recommend the Atmos Junior to anyone looking for a solid vape to take on the go. It is easy to load and pretty easy to clean. The battery life is okay if you only use it moderately. I love the flavor and the big cloud production. Definitely one of my new favorite vapes out there. Ordered Atmos Junior Vape pen for my boyfriend's birthday. I really liked the customer service, discreet delivery, so will definitely buy from again. 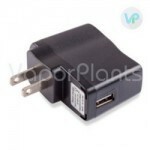 Vape itself does need some improvements, but still a steal for the price offered on this site! I have been vaping for about 4 years for health reasons, and this Junior vape pen by Atmos RX is my 7th vaporizer. Compared to other 4 which have broken after 6-7 months of use, this vapor pen has outlasted all of them. A great find for the price! For the price you can have one at home, one at work, and one in the car.